Hi, I'm after Motorhome Spares, a replacement acrylic top for a Dometic Midi Heki skylight. The opening in the motorhome roof is 700 x 500 mm and the acrylic is opened via a crank handle. 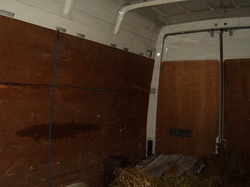 The van and presumably the skylight are c. 2008/9. Ours sustained damage when someone drove off with the skylight opened! Thank you. Motorhome Spares and Parts requests we get are often from abroad. Hi I am looking for a hob and oven for my converted motor home, can also be a one piece cooker. ​Hi I am after a replacement fire for my 1997 ford transit coach built motorhome, the carver 3600 series is an obsolete unit from truma, the replacement is truma 3004 part no 255609and 255612. If you have a 3600 fire could you give me a price please or for the replacement. Thank you. I am based in France - can you quote for delivery to - Thiat France. If you can't deliver to France we also use a carrier based in Bridgewater, UK who comes over weekly. I need two opening caravan windows and frames - both opening. 1 off 1000mm wide x 530mm deep. 1 off 1130mm wide x 550mm deep. Also, do you have any used van roof lights and/or whirly ventilators? I have a couple of old Renault traffics and transport my dogs around so always looking for ventilation aids. Regards. Hi I have a 2006 Elddis Crusader Superstorm and am looking for the following parts: Door fly screen Chrome off the White plastic shelving unit to bathroom wall. I would be very grateful if you contact me back if you do have any of these parts available. Kind regards. I am looking for Motorhome Spares, a complete habitation locking mechanism for a 1994 Auto sleeper clubman motorhome on a Vw body. can you help. Looking for replacement top cover for Autotrial Cheyenne 696SE, 2008 motorhome rooflight. Model (I believe) is Remis Vario 900x600. Identification marks are: Para Press VX-B. E1 43R-001736 PMMA-XT. Am currently touring in Northumberland. Think about it and you will (unless you don't care about money) come to the conclusion that using second hand caravan parts for your project will not only save cash it will give you the satisfaction of knowing that you are helping to recycle old and preloved caravans. Motorhome Spares for all makes and models contact us with your parts required.